TO ARRANGE A HASSLE-FREE HOME VISIT. Stylistic Re-upholstery has been offering high quality, affordable re-covers in the East Midlands since 1991, based in Attenborough, Nottinghamshire. For many years we had the luxury of our own showroom, which had been a great way to showcase David Mill's workmanship. Due to escalating high street rental costs and a large portion of our business coming from internet enquiries we made the decision in 2018 to leave our fixed premises behind, and ‘go mobile’. Though this was a big change for Stylistic, the quality of our work remains the same. Our small team of re-upholstery specialists continue to provide beautifully restored furniture, whilst Anthony also continues in his role; offering advice and free quotations. We have a fantastic range of fabrics for you to choose from, whether in the comfort of your own home, or for those who would prefer we have a fabric viewing area at our home office. Please see contact and address details below. Stylistic Re-upholstery is a small team of passionate re-upholstery specialists. All with decades of experience in the furniture industry, we're eager to restore your furniture... often to a higher standard than when it was first purchased! Anthony has been working in the furniture industry since leaving school in 1990. Much of that time spent at a local spring manufacturer, working closely with development upholsterers as well as account managing some of the biggest and most well respected furniture companies in the UK. 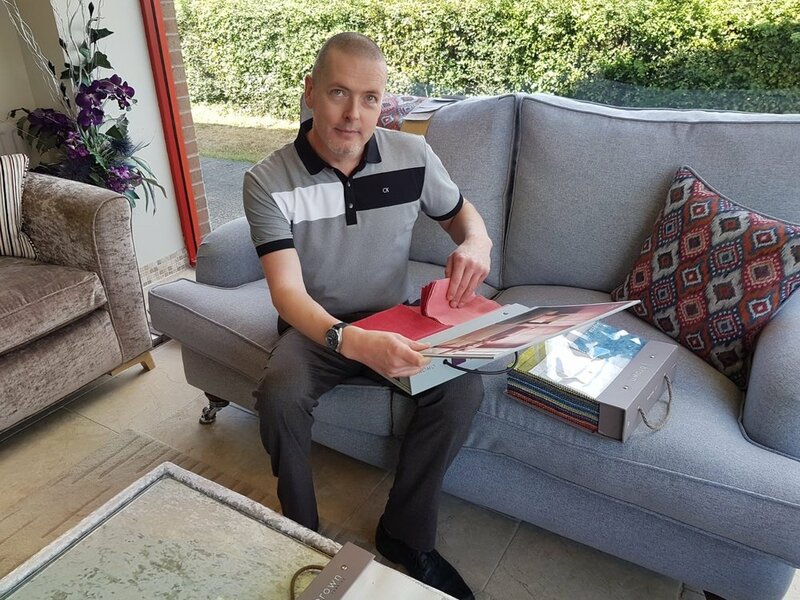 With over 40 years experience David is one of the most respected upholsterers in the Long Eaton area, and has trained many others in his time as factory manager at several large furniture makers. Now specialising in antique and vintage furniture where his true passion lies. Luke is an experienced upholsterer who loves a challenge, often taking on the more complex and intricate jobs. 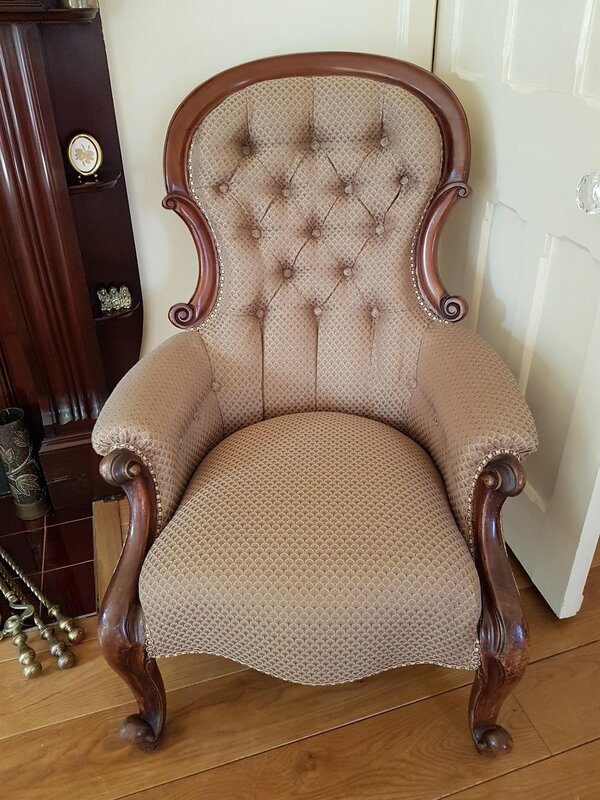 Having worked for a large recliner manufacturer in the area he now specialises in re-upholstering recliners of all shapes and sizes. Debbie is an extremely talented and experienced machinist. A perfectionist by nature and enjoys a challenge. Experienced in perfectly fitted replacement loose covers. With decades of experience in the furniture trade, we’re very well qualified to help with all re-upholstery enquiries. We assist customers from the beginning, helping you to choose the correct fabric according to your needs. We have a full range of washable and stain resistant fabrics as well as animal friendly fabrics to combat any mischievous cat claws! 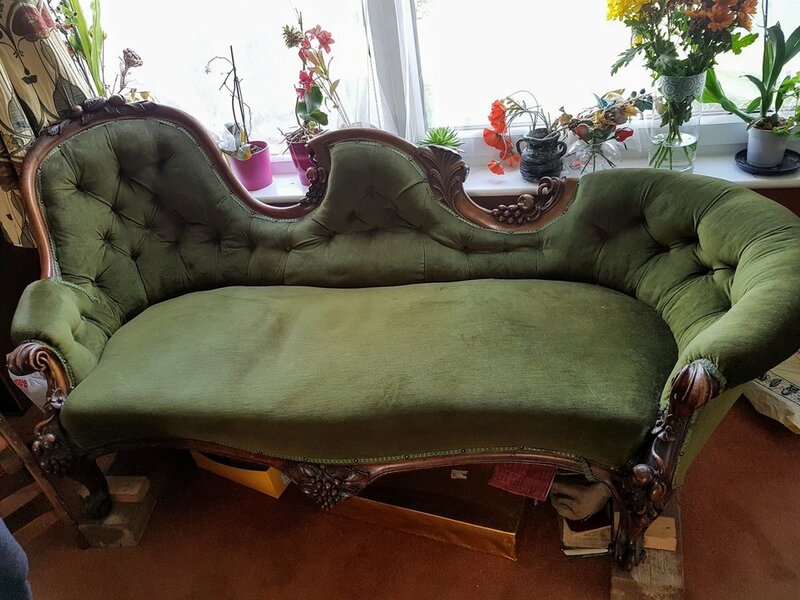 Once complete, your restored furniture is returned ‘as good as new’… if not, better; by using the highest quality foams, interiors and fabrics.